Jack M. Campbell (1916–1999) was elected governor of New Mexico in 1962 and reelected in 1964, the first New Mexico governor in twelve years to win a second term. In this engaging autobiography, Campbell traces his life story across major historical events in the country and New Mexico. 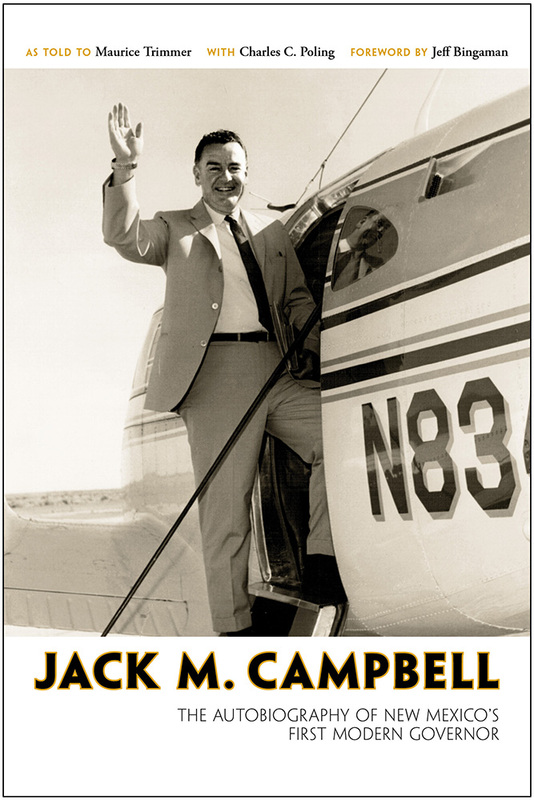 From humble beginnings on the plains of Kansas through his career as an FBI agent and his first days practicing law in Albuquerque, Campbell writes of his early attraction to the beauty and culture of New Mexico. After serving in the US Marine Corps in World War II, he returned to New Mexico and devoted himself to improving the state’s political and economic circumstances as a legislator, governor, and private citizen. Through a series of impressive accomplishments, he succeeded in bringing the state fully into the twentieth century. Campbell truly was New Mexico’s first modern governor. Jack M. Campbell was the twenty-first governor of the state of New Mexico. Maurice Trimmer was Campbell’s press secretary and friend for over thirty years. He assisted Campbell in the writing of this autobiography. New Mexico journalist, novelist, and editor Charles C. Poling completed this work by drawing on Campbell’s and Trimmer’s extensive files and archival records to finish the chapters on Campbell’s years as governor. Poling coauthored New Mexico governor Bruce King’s Cowboy in the Roundhouse: A Political Life.